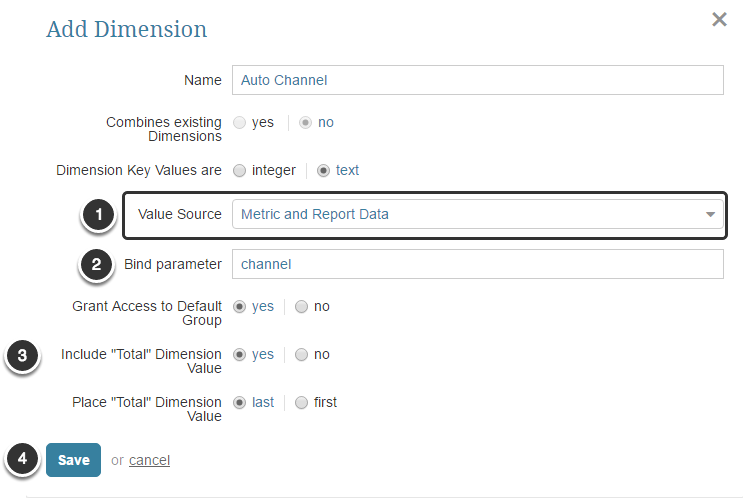 Metric Insights can automatically populate Dimension Values by simply fetching them as Metric and Report Data is collected. If your Metric and Report data include Dimension Values that are not already shown in the Dimension Editor, they will be added to the grid. 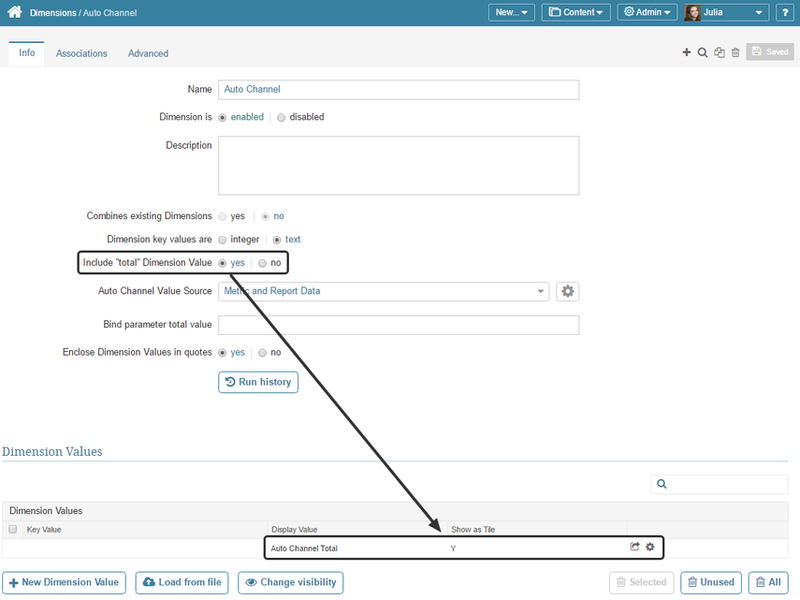 You do not need to specify a Metric or Report -- Metric Insights will collect Dimension Values from ever Metrics or Reports as it is updated. 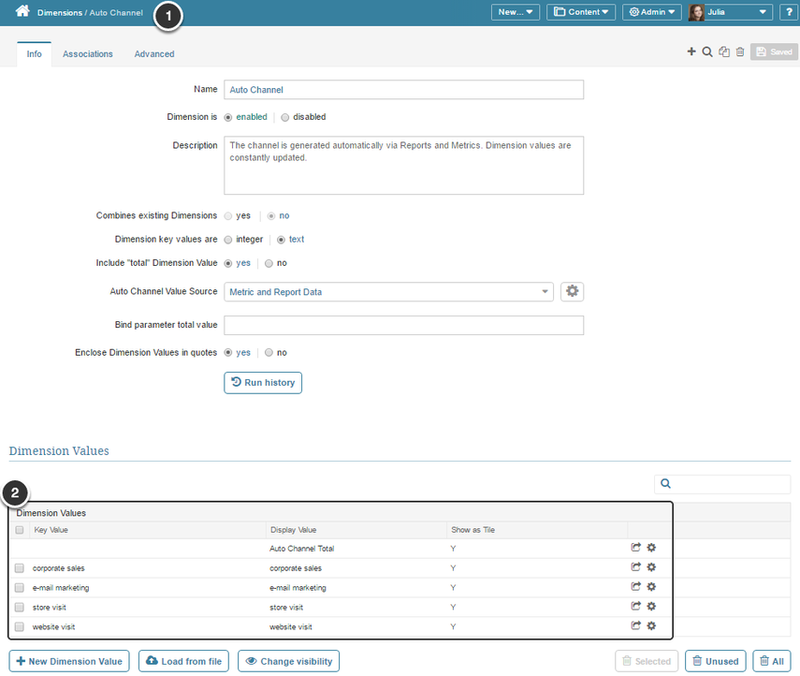 Dimensions sourced from "Metric and Report Data" cannot be used by Dataset Reports. 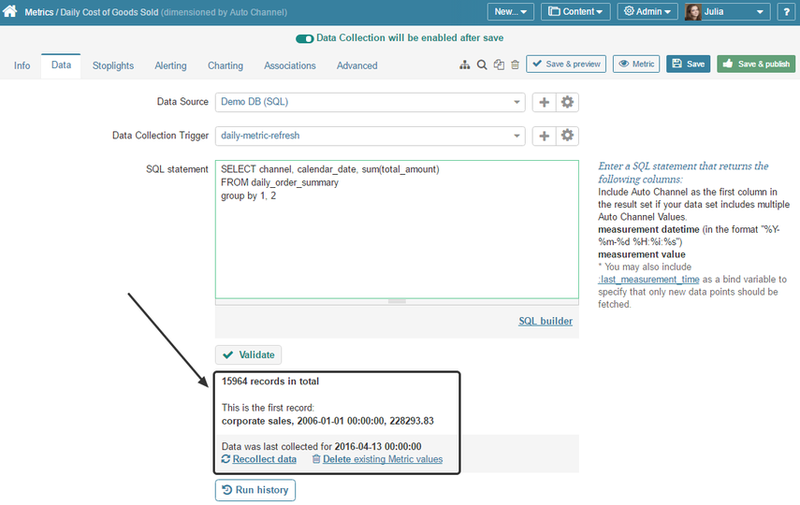 Dimensions already in use by a Dataset Report cannot be changed from the existing source to be sourced from "Metric and Report Data"
At the bottom of the page click [+ New Dimension]. 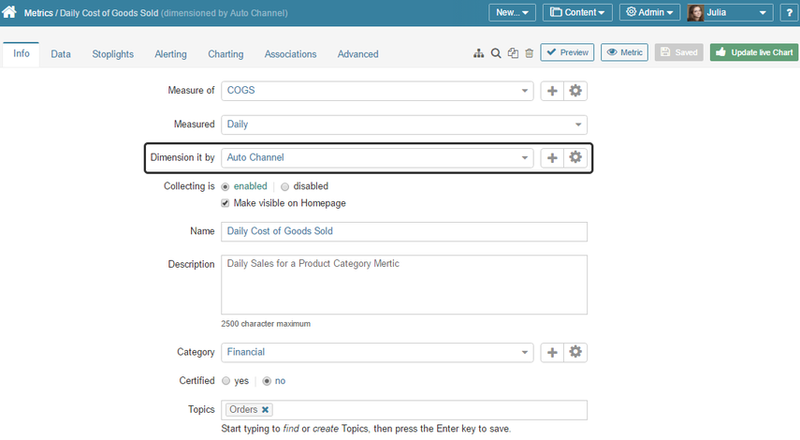 Value Source: Set this field to "Metric and Report Data"